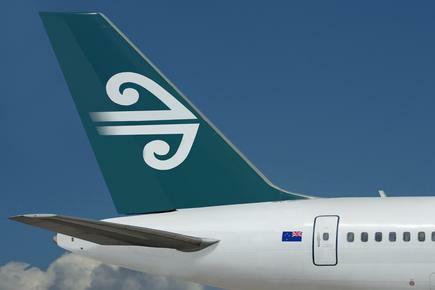 Air New Zealand customers travelling on the airline’s domestic and international flights, can now check in using their smartphones, tablets and online. “We recognise that our customers want access to information anywhere, anytime, on their choice of device,” says Air New Zealand CIO Julia Raue. Raue says the release of the new version of its mobile app mPass is part of the airline’s rebuild of its mobile platform, and new features will be added regularly. The team initially looked at what a relaunch of their mobile platform can offer. “Key was balancing the needs and expectations of our customers with what the mobile channel can deliver to us as a business,” she says. Air New Zealand says the mobile app for iPhone and Android users will considerably speed up the check-in process by allowing customers to check in from anywhere from 24 hours before departure; check in on smartphones until 90 minutes prior to an international flight; and 30 minutes before a domestic service. Usability is key, so invest in strong interaction design throughout the entire project. The airline says customers can also look forward to being able to check in online for international and domestic flights, including choosing seats and printing boarding passes. In the early part of the programme, Raue says the team focused on “intense research”, looking at existing and new customer needs, the available technologies, and how they could implement a new product with efficiency and speed. “We worked with a wide range of diverse customer groups to ensure we understood and valued what the product could and should offer and built a prioritised roadmap which we will continue to deliver on in regular updates,” says Raue. Related:New frontiers The ICT team at Air New Zealand is operating in uncharted territory and for CIO Julia Raue, this is the mark of success. Raue says by establishing priorities early, they were able to focus the teams to ensure they delivered a valued application in a timely manner. “Understanding that usability is key, we invested in strong interaction design throughout the entire program.” She says it was also important that they aligned the delivery to the enhanced self-service product launch at Auckland International Airport. • Establish priorities early as it informs application design at the onset. • Usability is key, so invest in strong interaction design throughout the entire project. • Understand your customers through informed research, and align that to technology innovations that you know can support and grow your business. • The mobile landscape is evolving rapidly, so maintaining a core team to continue product evolution is key. •	Foster a culture of innovation and build your team for success. Related:Mobility and BI top CIO priorities: Gartner reports focus on growth, cost reduction and customers amidst flat budgets. Related:CEO-plus: For Rob Fyfe, innovation and risk management go hand in hand, and he shares how this was demonstrated during his term as CIO and then chief executive at Air New Zealand.